Fair Farms supports newly proposed legislation requiring poultry companies to take responsibility for the manure their chickens produce. 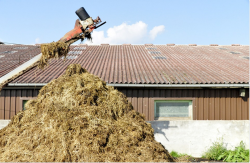 Excess manure saturates farm fields and pollutes local creeks, rivers and the Chesapeake Bay. The legislation will protect Maryland farmers and taxpayers from costs that should be borne by the large poultry companies that dominate the Eastern Shore. The Poultry Litter Management Act (SB496/HB599) is part of a critical two-step plan to reduce pollution from agriculture in Maryland. In 2015, the Hogan Administration enacted new rules that will be phased in over the next 6-8 years forbidding farmers from over-applying poultry manure on fields. While this marks an important step forward, Maryland simply does not have enough alternatives in place for the excess manure. The Poultry Litter Management Act places the responsibility of properly using, recycling, or disposing of that excess manure in the hands of the big companies that own and profit from these millions of chickens. Farmers that grow chickens for the big poultry companies currently shoulder the burden, with considerable subsidies from taxpayers. Unfortunately, our investment isn’t paying dividends: The U.S. Geological Survey has found the Eastern Shore, while it’s only 7% of the Bay’s watershed, is delivering far higher than average pollution loads to the Bay. It’s time for big poultry companies to take responsibility for the waste their birds generate. Please urge your legislator to act now by clicking the link at right (your address will auto-generate the body of a pre-written letter to your Maryland Senator and Delegate(s). Thank you in advance for your action!